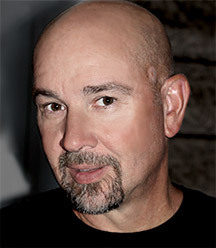 Mark M. Miller, owner of Miller Medical Illustration , was born and raised in Kansas City, Missouri. An early interest in both art and medicine led him to combine a BFA in Fine Art and premedicine at the University of Missouri, Columbia, where he graduated with honors in 1982. An opportunity to illustrate an undergraduate biology lab manual his senior year in college changed his focus from a career in medicine to one in medical illustration. In 1984, Mark entered the graduate program in Medical Illustration at the Department of Art as Applied to Medicine, The Johns Hopkins University School of Medicine, Baltimore. Here his interests included medical sculpture as well as facial prosthetics. Upon graduation in 1986, Mark joined the faculty in Art as Applied to Medicine where his responsibilities included teaching medical sculpture, heading the facial prosthetics clinic, and producing full-color surgical illustrations for the Department of Otolaryngology, Head and Neck Surgery. Mark returned to Kansas City in 1991, where he established Miller Medical Illustration, a sole proprietorship. In 2013 Mark joined the Stowers Institute For Medical Research on a half-time basis, working in the Department of Science Communications as Scientific Illustrator. Mark continues to create illustrations for a diverse group of national and international clients, depicting a wide range of medical, biological, scientific and veterinary subjects. If variety is the spice of life, then my two and a half decade illustration career has been a bowl of shrimp creole with an added dose of cayenne pepper! Working in diverse areas of science, from basic concepts to state-of-the-art molecular methods of action, has given me an appreciation for how quickly advances are made and how far our knowledge has come in the last quarter century. All science is interrelated. The invention of a new surgical apparatus has implications not only for surgeons, but also for physiologists, pathologists and physical therapists, just to name a few medical specialties, as well as medical-legal specialists and government regulators. Drugs developed for one disease often end up treating another in an entirely different body system. The examples of cross-fertilazation in science are endless, which is why I feel quite fortunate to have worked this long as a medical illustrator and why I hope my projects continue to be as diverse and interesting as science itself.